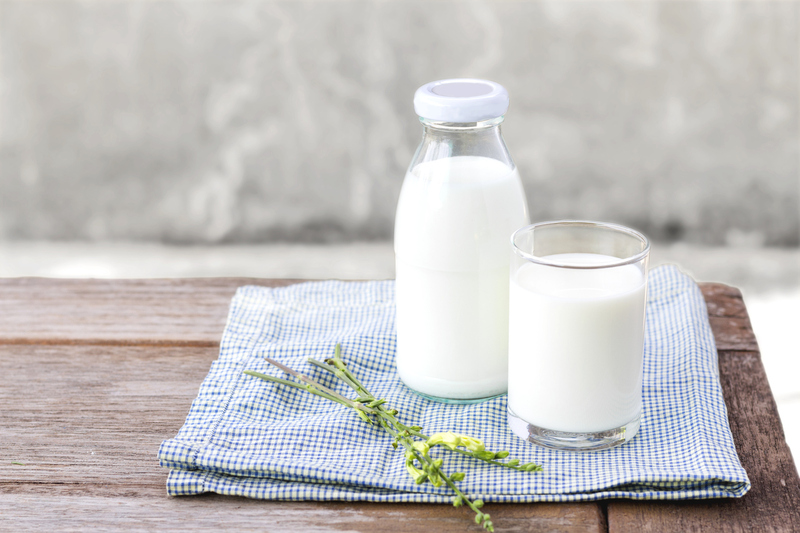 Milk has had its fair share of haters in the recent media, with trends to substitute the beverage with other milk substitutes like almond, coconut or rice milk. These milk ‘wannabes’ have nothing on the potential to help your waistline and achieve your weight loss results. So, what is so fantastic about milk? It is a low glycaemic index drink. This means it helps to keep you feeling fuller for longer because your blood sugar doesn’t spike and then crash but has a stable release and as a result gives you a stable and longer release of energy. Milk is a great protein source. 250mls of skim milk will give you approximately 9g of protein with full fat just under this amount at approximately 8.5g. Protein helps to keep you feeling fuller for longer, this will help your will power and you will not be so tempted to reach for the muffin come mid-afternoon. Milk contains both whey and casein protein types. In addition to helping build muscle and promote your body composition by building more muscle and reducing fat, these two proteins also help you feel fuller by triggering the release of ‘feel fuller’ hormones in your body. Milk has been shown to help protect your muscles from being used for fuel if you follow a restricted carbohydrate diet, as a result your metabolism stays strong. Milk is a great source of calcium. This mineral is not just needed for healthy and strong bones but when you have enough in your body your fat cells store less of it. The fat cells with low amounts of calcium stored inside them are used more readily by your body. Higher calcium levels also trigger your body to store less fat and create more heat. This is beneficial because heat means energy needs to be used and can help your waistline. References: Pereira, M.A., Jacobs, D.R.Jr., Van Horn, L., Slattery, M.L., Kartashov, A.I. & Ludwig, D.S. Dairy consumption, obesity, and the insulin resistance syndrome in young adults: the CARDIA Study. Journal of the American Medical Association. 2002;287(16):2081-2089. Heaney R.P., Rafferty K. Preponderance of the evidence: an example from the issue of calcium intake and body composition. Nutr Rev 2009;67(1):32-39. Major G.C., Chaput J.P., Ledoux M, St-Pierre S, Anderson G.H., Zemel M.B., Tremblay A. Recent developments in calcium-related obesity research. Obes Rev 2008;9(5)428-445 Zemel M.B. The role of dairy foods in weight management. J Am Coll Nutr. 2005;24(6 Suppl):537S-546S. Zemel M. Dietary calcium and dairy products accelerate weight and fat loss during energy restriction in obese adults. Am J Clin Nutr 2002; 75(suppl):342S-343S. Caan B., Neuhouser M., Aragaki A.,Lewis C.B., Jackson R., LeBoff M.S., Margolis K.L., Powell L., Uwaifo G., Whitlock E., Wylie-Rosett J, LaCroix A. Calcium plus vitamin D supplementation and the risk of postmenopausal weight gain. Ann Intern Med 2007;167(9):893-902. Zemel MB et al. Dairy augmentation of total and central fat loss in obese subjects. Int J Obes 2005;29:391-397.